Maximum camera length is 8"
The MR7TL is a high performance recessed low profile ceiling dome IP ready housing from Videolarm which is designed to provide users with a quality camera protection solution that can be used in a range of different security installations. 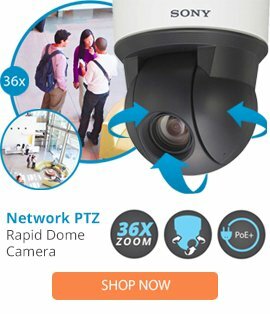 The MR7TL ceiling housing comes with IP/analog/digital camera support, a simple installation, a fixed camera bracket, as well as an OptiClear polycarbonate dome, and a 3.5extension below the ceiling. The MR7TL ceiling housing also features a non-fire resistant Plenum rating, a snap on decorative trim ring, plus a compact stylish design. This camera housing is able to hide the cameras movements for covert surveillance monitoring, and can easily provide high use in a number of setups.